It is pretty much impossible to ignore the hype surrounding 2013's summer blockbuster film, "The Great Gatsby". F. Scott- Fitzgerald's 1925 novel chronicles the scandal of Long Island high society lead by the young charismatic millionaire, Jay Gatsby. Mr Gatsby I guess was the "Mr Grey" of his time although with slightly more conventional methods of seduction. The traditional setting of Westport was a popular destination for F. Scott Fitzgerald to escape the Manhattan madness and many believe was the main influence in writing this cautionary tale. 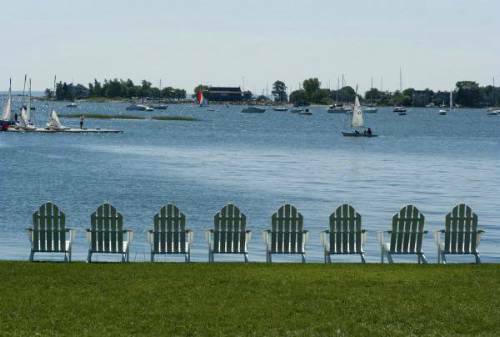 Westport is around fifty miles from New York City located on the water at Long Island Sound. The town is thriving with art, culture, quirky coffee shops, excellent restaurant and high end fashion boutiques. The houses are immaculate, many in white washed wood with large verandas epitomising the style of New England. The estuary banks are full of beautiful homes, many owned by celebrities and a large variety of boats bob up and down in the clear waters. Westport is a lovely place to visit for a day or two and the perfect place to add onto a New York city break. 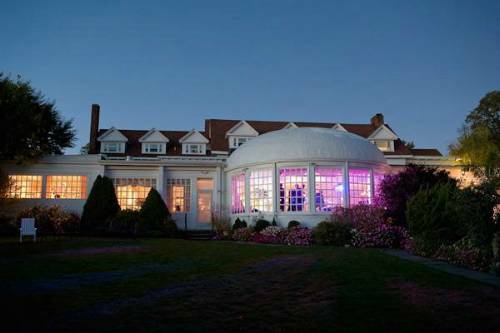 The Inn at Longshore is an exclusive and elegant retreat. Once a private residence it later became a country club where John D Rockefeller and F. Scott Fitzgerald were among the elite group of members. Today it is the perfect boutique treat with just twelve stunning bedrooms enjoying views of the water. The hotel has spectacular grounds leading down to the beach and award winning cuisine making it a popular choice for weddings and other celebrations. If you are looking to stay in the summer months book well in advance and if you fancy hosting your very own Gatsby inspired soiree I can't think of a more suitable venue. The best way to get to Westport is to hire a car and drive. The journey time should take between 1-1.5 hours depending on traffic and the time of day however, the route is very simple. AAM Car Hire come highly recommended due to cost, accessibility to the highway and their very helpful and friendly staff.